Bruised Passports' Iceland Journey Sounds Like A Fable. Find Out Why! Three trips to the country later, we are convinced that Iceland is the proverbial pot of gold at the end of the rainbow. Our most memorable visit so far has been a road trip against the wintry elements. As we arrive at Reykjavik Airport and settle into the seats of our rental SUV, I feel a strange sense of familiarity wash over me. This is where I’ve been longing to be for over a year. All around me, raging winds summon a snowstorm, but strangely enough, I feel at home. Two years ago, my husband, Vid, and I spent a languorous fortnight driving in Iceland. Splendid summer days and 20 hours of daylight ensured we spent our romantic getaway chasing waterfalls, sipping chilled beers outside scenic lodges, hiking to the tops of extinct volcanoes, and unwinding in hot tubs in the middle of mountains. We tried to explore every nook and cranny, but Iceland refused to be relegated to the shelf of fond memories. It continued to call out to us over and over again. Many months of planning later, here we are, determined to get our teeth sunk into Iceland’s winter landscapes. We haven’t yet left the airport, but wailing winds and the din of hailstones falling on our car force me out of my nostalgia-laden reverie. I wonder if we’ve been wise about this plan. We cautiously snake our way out of the airport with a three-hour drive ahead of us. Only, we can’t see a thing. It’s only 2 pm, but darkness is descending quickly and there are several snowstorm warnings on the radio. I plug in my USB stick, and soon enough, the car’s music system is belting out familiar ambient tunes. We try to underplay our apprehensions by regaling each other with tales from our last trip. Over the next 20 minutes, the weather clears up, almost as if a magic wand was waved somewhere. We see mountains looming ahead of us on the highway, lit only by the moonlight. As I marvel at the snow-capped peaks, I see a fleeting glimmer of something in the sky. It’s gone before I can make sense of it. Five minutes later, I spot a faint streak of green. 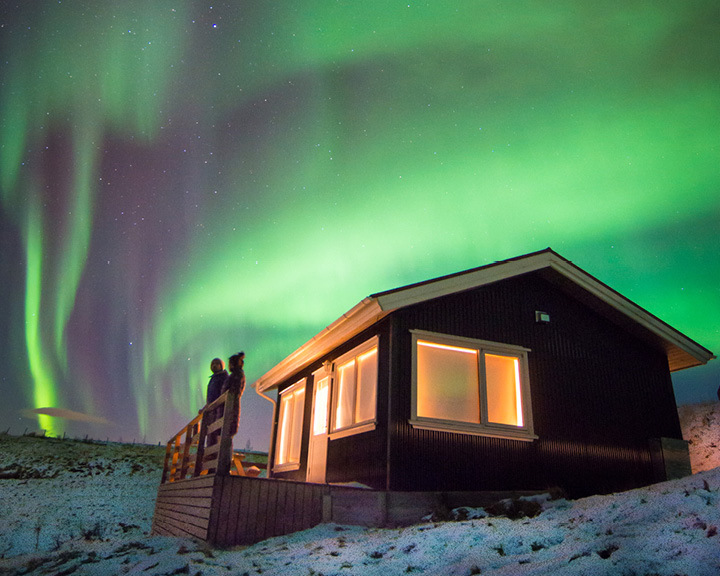 The Northern Lights put up a show over the couple’s cottage. later, I spot a faint streak of green. “It’s the Northern Lights,” I whisper to my husband, as if the heavens would stop creating them if they heard us. We pull up and step out of our car to get a better look—the magnificent aurora borealis colouring the sky green one moment and purple the next. We stand transfixed as we watch them dance, change colours, and dart from one end of the sky to the other. I look at him and smile, because I know what he’s thinking. We’re happy to be back in Iceland. rational individual would think this is the work of elves, probably working hand in glove with fairies. 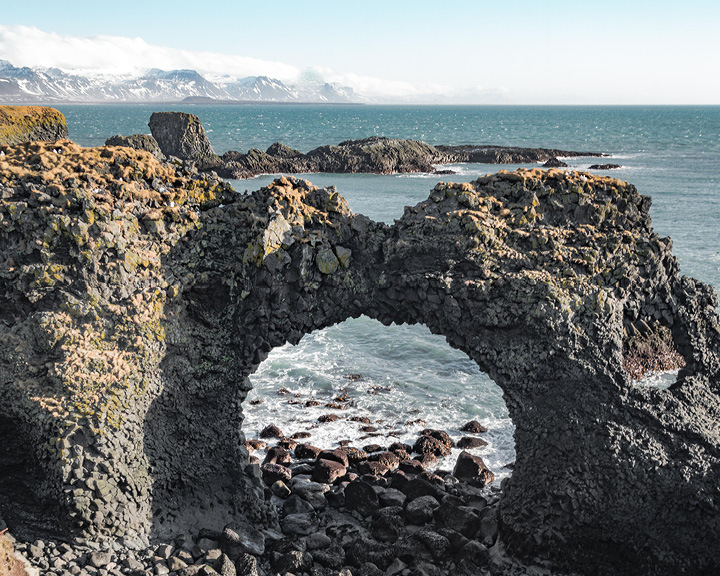 The Hellnar Arch is one of many striking natural formations on the Snæfellsnes Peninsula. The next day, we sleep in. 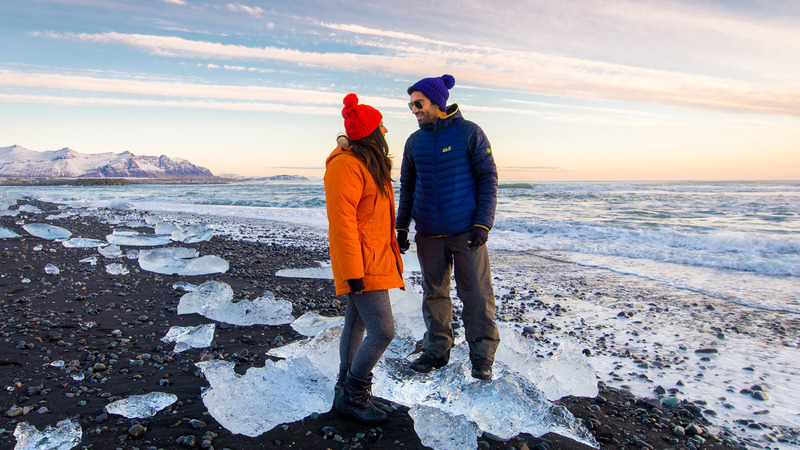 Sunrise is as late as 10 am; Icelandic winters are perfect if your idea of a romantic getaway includes snuggling in bed for hours. At sunrise, we drive to the iconic Black Church of Budir. It might be small, but its signature hue and staggering views of the surrounding windswept landscape set the tone for the day. We hike to the Hellnar Arch, where limestone and basalt columns offer incredible views over volcanic moors. Here, naturally formed arches exist in unison with eerie structures like a pyramid-shaped volcano (Mt. 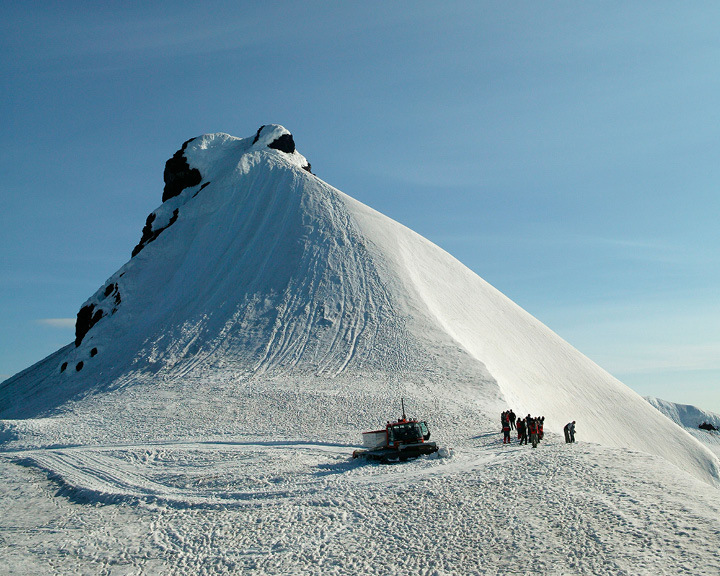 Stapafell) and a glacier-capped volcano (Snæfellsjökull). As we admire the intricate limestone carvings along the way and sit down for a bowl of steaming hot fish soup and freshly baked bread, we chance upon several renditions of Bárður Snæfellsás, the Protector of the Snæfellsnes Peninsula who was half-troll, half-man. The restaurant owner entertains us with tales of the mythical Bárður, protecting Icelandic people from calamities. No matter where you go in Iceland, folklore and nature collude to create magic. 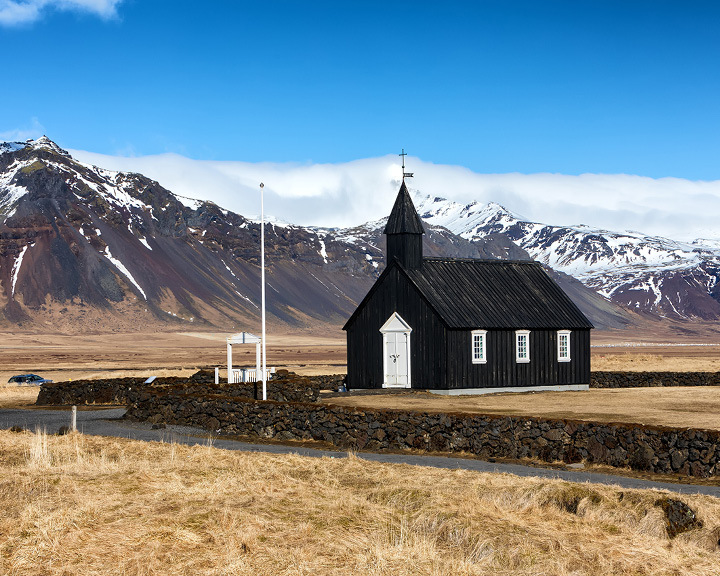 The Black Church of Budir is small but striking. The next few days are spent driving to ‘secret’ waterfalls in the area. We moon over the mystical Lava Falls near Hraunfossar, where rivulets of flowing lava are punctuated with stalactites and stalagmites. We marvel at rainbows stretched out over the iconic Gullfoss Waterfall. We stand awed by the surreal beauty of Kerið, a volcanic crater lake. We stare at frozen waterfalls at Seljalandsfoss and Skógafoss. 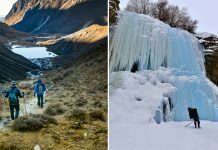 Iceland’s cascades are gorgeous throughout the year, but they seem to acquire an otherworldly charm during winter months as dripping water freezes into icicles. Time seems to come to a standstill here. the Diamon Beach, dotted with hundreds of glistening rocks of ice washed ashore. We go hiking on glaciers and spelunking in secret caves that are formed under the glaciers each year. These blue caves are barely illuminated but endlessly fascinating. 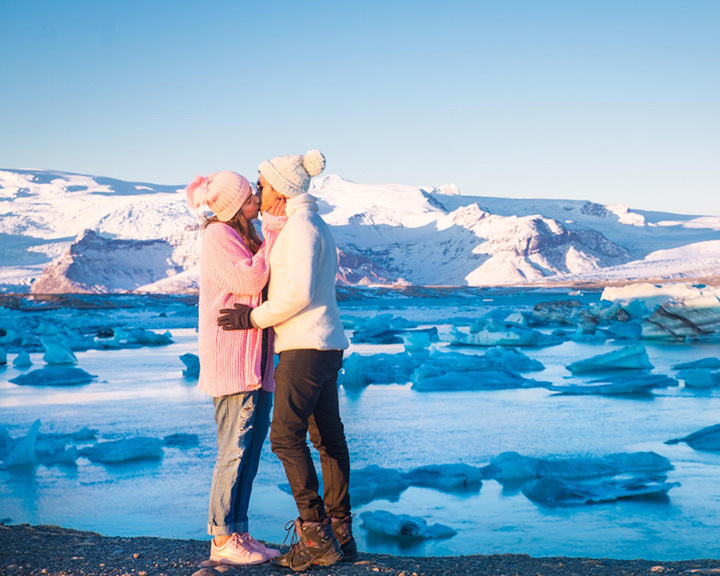 Air France, KLM, and WOW Air offer convenient connections to Reykjavik. It is easy to rent a car in the capital, and the roads are in great shape. 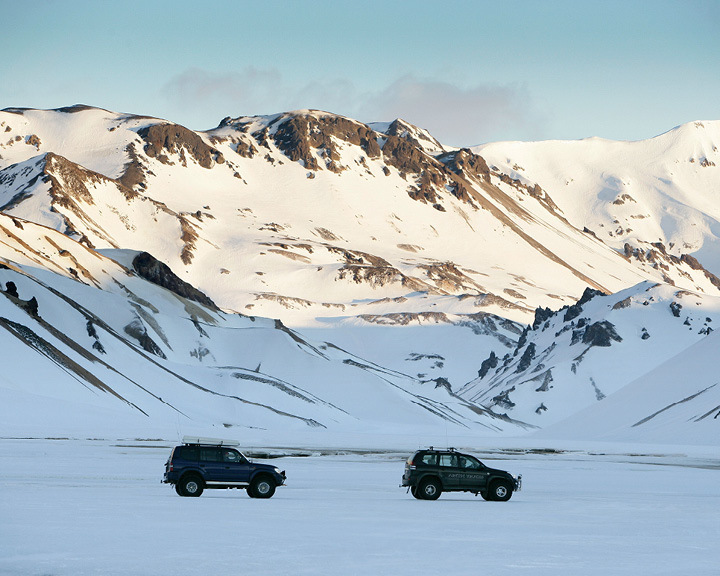 We suggest renting a 4X4 equipped for the snow. Silica Hotel (from INR 39,340) offers a scenic escape at the iconic Blue Lagoon. The best part is that guests have access to a smaller private lagoon. The stunning Deplar Farm (from INR 1,83,191) in the Troll Peninsula is ideal for an offbeat escape with staggering views. Close to Þingvellir (Thingvellir) National Park, ION Luxury Adventure Hotel (from INR 20,961) boasts glass facades right out of a sci-fi movie. 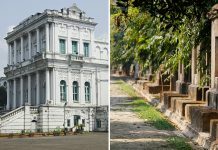 Hotel Rangá (from INR 20,000) offers a luxurious lodge-style escape in the countryside. It is the ideal place from where to watch Northern Lights. 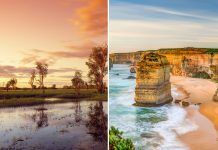 Related: 10 Indian Instagrammers Whose Accounts Will Give You the Travel Bug!